The wedding is very simple and beautiful. The wedding and reception was at the groom's property in the middle of the field with vintage style. Also, there were five adorable flower girls in the wedding. 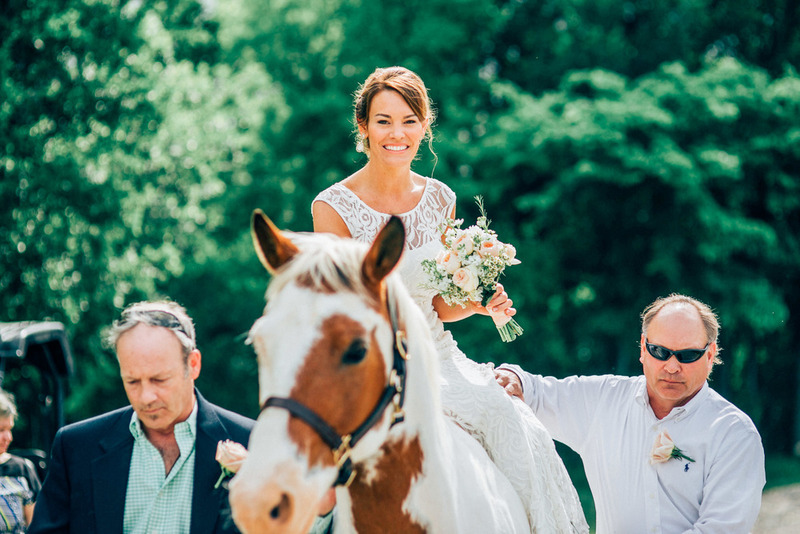 The bride was sent by riding a horse to the ceremony. Hope y'all like the photos of this amazing wedding.